The announcement that Inspector-General of Police Stella Libongani had issued orders refusing to grant permission for a joint opposition rally represents an unlawful violation of the Zambian peoples’ right to free and fair assembly, said the Coalition for the Defence of Democratic Rights (CDDR). The combined opposition rally, which is planned take place in the Metendre residential area of Lusaka and will address the issues of the arrest of opposition leaders and the current spate of food shortages, was jointly proposed by members from the Movement for Multiparty Democracy (MMD), United Party for National Development (UPND), Alliance for Development and Democracy (ADD), United Liberal Party (ULP), and the Zambia Direct Democracy Movement (ZDDM). The opposition parties notified the police of their intention to hold the rally together in response to repeated refusals to grant permission for individual rallies. “There is absolutely no basis under the Zambian constitution or international law for the police to arbitrarily and preemptively ban peaceful political gatherings for no reason,” said Robert Amsterdam, counsel to the CDDR. “The Patriotic Front administration is in violation of several international agreements that guarantee basic rights to its citizens, such as free and fair association and the right to public assembly. 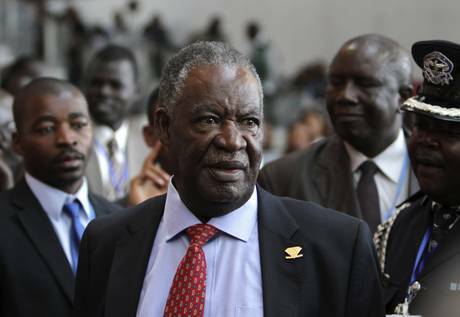 Reports of the denial of the permit to the opposition parties follows upon controversial statements by Minister of Justice Wynter Kabimba, who recently stated that Zambian people “want a one-party state,” and that the government would seek to “close down” certain Non-Governmental Organisations (NGOs). Representing a broad array of opposition parties, political figures, and private citizens, Coalition for the Defence of Democratic Rights (CDDR) is a legal defence alliance formed in Zambia in the fall of 2012 in response to increasing harassment and interference by the authorities and related parties. More information on the CDDR’s activities can be read at http://cddr-zambia.org.